For tasks that require complete coverage of surfaces by multiple autonomous industrial robots, it is important that the robots collaborate to appropriately partition and allocate the surface areas amongst themselves such that the robot team’s objectives are optimized. An approach to this problem is presented, which takes into account unstructured and complex 3D environments, and robots with different capabilities. The proposed area partitioning and allocation approach utilizes Voronoi partitioning to partition objects’ surfaces, and multi-objective optimization to allocate the partitioned areas to the robots whilst optimizing robot team’s objectives. In addition to minimizing the overall completion time and achieving complete coverage, which are objectives particularly useful for applications such as surface cleaning, manipulability measure and joint’s torque are also optimized so as to help autonomous industrial robots to operate better in applications such as spray painting and grit-blasting. The approach is validated using six case studies that consist of comparative studies, complex simulated scenarios as well as real scenarios using data obtained from real objects and applications. The online version of this article (doi: 10.1007/s10514-017-9631-3) contains supplementary material, which is available to authorized users. 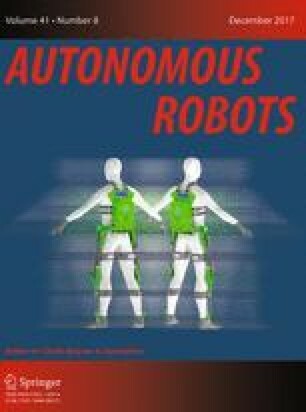 This research is supported by SABRE Autonomous Solutions Pty Ltd and the Centre for Autonomous Systems (CAS) at the University of Technology Sydney (UTS), Australia. Authors thank Prof. Gamini Dissanayake, Assoc. Prof. Shoudong Huang, Dr. Gavin Paul, Dr. Andrew To, Mr. Gregory Peters, and Mr. Teng Zhang for their valuable suggestions and discussions. Englot, B., & Hover, F. S. (2012). Sampling-based coverage path planning for inspection of complex structures. In Proceedings of the 22nd International Conference on Automated Planning and Scheduling (ICAPS). Atibaia, Sao Paulo Brazil. http://hdl.handle.net/1721.1/87729.